The competition authority has launched an in-depth investigation into Global's deal to buy the out-of-home media owner Exterion Media. The Competition & Markets Authority informed the two companies of the "launch of its merger inquiry" on Tuesday. It has invited interested third parties to make a formal comment on the deal before 6 March and expects to make its initial decision by 16 April. It is understood that the CMA spoke to a wide range of industry figures and companies before launching the investigation, including the out-of-home specialist agencies Kinetic, Talon Outdoor and Posterscope. The CMA will consider whether the deal has created a "relevant merger situation" under the Enterprise Act 2002 and whether that situation has or could result in a "substantial lessening of competition within any market or markets in the UK for goods and services". Global completed its estimated £450m deal to buy Exterion Media in November, just over a month after it made a binding offer for the business. The swoop followed Global’s purchase of Primesight and Outdoor Plus in September. The two businesses must be run separately until the process has concluded, although the CMA has granted a number of exceptions including allowing Global to appoint someone to Exterion Media's parent company's board. If the Exterion Media deal is approved the three acquisitions combined will give Global a 32% share of the UK out-of-home market, putting it just behind the largest operator (in both the UK – 36% – and world), JCDecaux. In 2014 Global Radio was forced to sell off eight stations to Communicorp, the Irish radio business owned by billionaire Denis O'Brien, after the CMA-forerunner the Competition Commission partially blocked its purchase of GMG Radio. 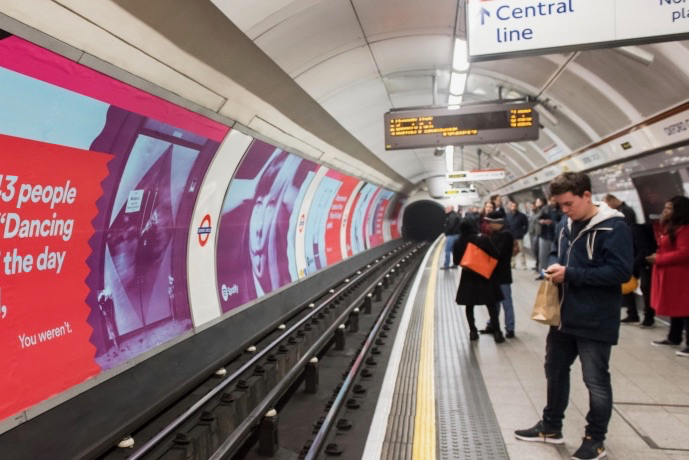 Exterion Media, formerly known as CBS Outdoor and TDI before that, has the coveted London Underground ad sales contract, which is believed to be the biggest single one of its kind in the world. The outdoor industry is going through a period of change. In January Ocean Outdoor, the fourth biggest player if the Exterion deal goes through, started trading shares on the UK stock market to enable it to raise money for acquisitions. It had been close to buying Exterion before Global agreed its deal. Ocean’s shares are currently trading at $7.05, down from its open of $7.50. Clear Channel – the second largest in the UK behind JCDecaux and Global – is also hoping to look for M&A opportunities when it spins out from its parent iHeartMedia and lists on the US stock market. Global’s accounts for the year to March 2018 showed a business in rude health: earnings before interest, tax, depreciation and amortisation rose by 34% to £104m and revenues leapt 28% to £388m.